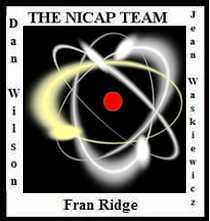 In December, 1948 a new and strange phenomenon began to be observed repeatedly in the southwestern United States in areas where Top Secret nuclear weapon research was being carried out. Particular areas were around Los Alamos, New Mexico, Sandia Base near Albuquerque, New Mexico, the White Sands Proving Ground in NM and, eventually around the nuclear weapon storage site called Killeen Base at Fort Hood, Texas. This phenomenon consisted of (generally) bright green lights moving (generally) horizontally through the night sky and then dropping downward slightly and going out. These became to be known as "green fireballs." After these had been observed many times in late 1948 and early 1949 Dr. Lincoln La Paz, a famous meteoricist (a scientist) who studies meteor and meteorites), declared that they weren't normal meteors. He told the Air Force and the FBI that if these weren't special devices resulting from our own (United States) secret research, then they could be Russian and in any event were a potential threat to our "vital installations" (FBI terminology) where nuclear weapon research was carried out. These fireballs were observed repeatedly throughout 1949 and Air Force scientists wanted to know what they were. (Also observed were objects which Dr. La Paz called the "disc variation"...but it almost seems that the Air Force scientists really didn't want to know what THEY were!) Finally, in 1950, they succeeded in setting up an observation program to scientifically record the fireballs. It is at this point that our present story begins, but, before leaving the fireballs behind, let me just point out that they are STILL a mystery! 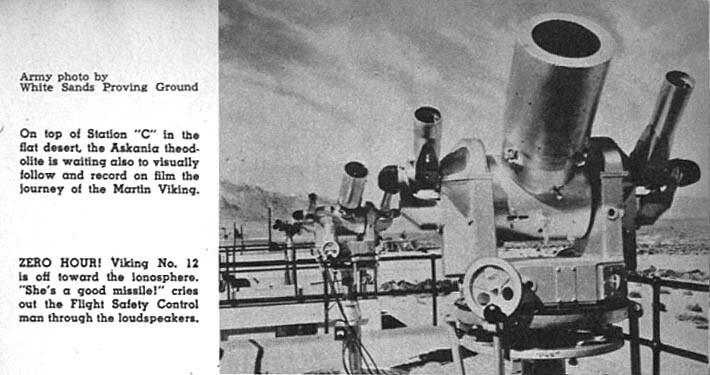 In the spring of 1950 a $20,000, half-year contract was signed with the Land-Air Corporation which operated the phototheodolites at White Sands. Land-Air was to set up a 24 hour watch at a location in New Mexico to be specified by the Air Force and the phototheodolite operators at White Sands were to film any unusual objects which happened to fly past. The name of this project was Twinkle. The investigation began on March 24, 1950. 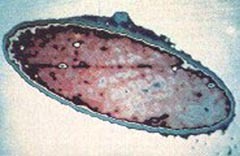 By this time there had been many sightings in the southwest according to the sighting catalogue compiled by Lt. Col. Rees of the 17th District Office of Special Investigations at Kirtland, AFB, many of them around Holloman Air Force Base. His catalogue shows the following data for New Mexico in 1949: the area of Sandia Base (Albuquerque) - 17 sightings, mostly in the latter half of the year; Los Alamos area - 26 sightings spread throughout the year; Vaughn area - none; Holloman AFB/Alamogordo/White Sands area - 12; other areas in southwest New Mexico- 20; total - 75. For the same areas in the first three months of 1950 there were: Sandia - 6 (all in February); Los Alamos - 7; Vaughn - 1; Holloman AFB/Alamogordo/White Sands - 6; others - 6; total - 26. With all these sightings, the scientists were quite confident that they could “catch” a fireball or a saucer. On February 21 an observation post, manned by two people, was set up at Holloman with a theodolite, telescope and camera. The post was manned only from sunrise to sunset. The observers saw nothing unusual during a month of operation. Then the scientists decided to begin a constant 24 hour watch on the first of April that would last for six months, with Land- Air personnel operating cinetheodolites (theodolites with movie cameras) and with Holloman AFB personnel manning spectrographic cameras and radio frequency receivers. Thus began Project Twinkle with the high hopes of solving the fireball/saucer mystery. “ 1. Per request of Dr. A. O. Mirarchi, during a recent visit to this base, the following information is submitted. 2. Sightings were made on 27 April and 24 May 1950 of aerial phenomena during morning daylight hours at this station. The sightings were made by Land-Air, Inc., personnel while engaged in tracking regular projects with Askania Phototheodolites. It has been reported that objects are sighted in some number; as many as eight have been visible at one time. The individuals making these sightings are professional observers. Therefore I would rate their reliability superior. In both cases photos were taken with Askanias. 3. The Holloman AF Base Data Reduction Unit analyzed the 27 April pictures and made a report, a copy of which I am enclosing with the film for your information. It was believed that triangulation could be effected from pictures taken on 24 May because pictures were taken from two stations. The films were rapidly processed and examined by Data Reduction. However, it was determined that sightings were made on two different objects and triangulation could not be effected. A report from Data Reduction and the films from the sighting are enclosed. “Objects observed following MX776A test of 27 April 1950"
1. According to conversation between Col. Baynes and Capt. Bryant, the following information is submitted directly to Lt. Albert. 2. Film from station P10 was read, resulting in azimuth and elevation angles being recorded on four objects. In addition, size of image on film was recorded. a). The objects were at an altitude of approximately 150,000 ft.
b). The objects were over the Holloman range between the base and Tularosa Peak. c). The objects were approximately 30 feet in diameter. Human beings had made no objects that could fly at 150,000 ft in the spring of 1950. So, what were they? Whose were they? The skeptical scientist might, at this point, question the ability of Askania cameras to accurately image some object at 150,000 ft (28 statute miles). Just what was the capability of a phototheodolite? In fact, one might wonder just what IS a phototheodolite? The four rare photos above showing different stages of the Viking's flight, were made by the Askania theodolite. From bottom to top, they not only record the angle of climb but, more important, report on rocket efficiency by detailing action of engine exhaust through upper atmosphere. When rocket engine operates at the top best, hypersonic shock cones in tail flame appear shaped perfectly as diamonds. If diamonds are in any way distorted, this indicates lack of smoothness in operation. The rocket itself was about 46 ft long and 5 ft in diameter (at its widest). Looking at the top photo of the rocket one can clearly see the general shape, although it is distorted (foreshortened) by the perspective view (from below and to one side). 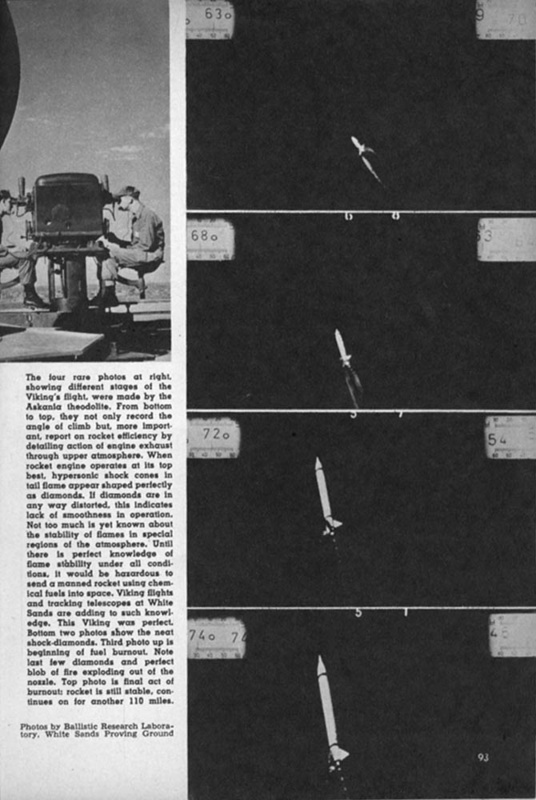 Had the rocket presented the same perspective view but from a distance of about 30 miles (150,000 ft) the image would not be as large as in the upper photo, but the general shape could still be determined from the image (which would have been clearer in the original film than in this copy). The focal length of the typical telescope was 60 cm. One may assume that the 35 mm film used had an image size resolution, determined by the average film grain size, of 0.001 cm (0.01 mm or 10 microns), or less (if high resolution film was used the grain size could be as small as about 5 microns). Assuming 0.001 cm resolution at the film plane, the angular resolution was on the order of 0.001 cm/60 cm = 1.6 x 10^-5 radians = 0.0009 degrees which is about 3 arc-second resolution (1 arc-sec = 0.00028 deg). When this distance is projected to 150,000 ft it corresponds to about 2 1/2 ft. This is a "resolution element" at that distance. Hence it is not surprising that the film image discussed above is a quite good representation of the shape of the V-2 rocket at a high altitude. An object 30 ft in diameter would have 12 of these resolution elements across its width, and about 140 such elements over the whole image area (if roughly round) which would be more than enough to assure that the film image would be clearly show the the overall shape of the object. (If the film resolution were better than 10 microns the number of resolution elements in the image would be even greater. The more resolution elements there are, the more accurate is the depiction of the actual shape of the object.) The bottom line is that it is very UNLIKELY that the expert analysts at White Sands were wrong when they stated that the objects were about 150,000 ft high and about 30 ft in diameter (and traveling at a high speed). Enter Dr. Louis Elterman, a well known atmospheric physicist. Elterman was known for using powerful searchlights to study the upper atmosphere (density, dust loading, etc.). He also wrote a report on ball lightning for Project Grudge, the second Air Force project to collect and analyze flying saucer sightings, so he obviously knew the official opinion of the Air Force on flying saucers, namely that there weren't/aren't any. (The Project Grudge personnel did not look favorably on saucer reports.) A year and a half after the above sightings, in November, 1951, Dr. Elterman, who was at that time the Director of Project Twinkle, and who worked at the Atmospheric Physics Laboratory (APL) of the Geophysical Research Division (GRD) of the Air Force Cambridge Research Laboratory (AFCRL), wrote the final report on Project Twinkle. According to Dr. Elterman’s report, Project Twinkle was a dismal failure: “no information was gained.” He recommended it be discontinued. His recommendation was accepted. But, was it a failure? Was there really no information gained? Notice that the above document says that as many as 8 objects were sighted at one time on May 24, 1950. This statement is confirmed in an FBI report entitled "Information Concerning Phenomena in New Mexico," written on August 23, 1950. According to the report, "On May 24, 1950, personnel of Land-Air, Incorporated, sighted eight to ten objects of aerial phenomena." Isn't the fact of the sighting "information?” Of course it is. Then, why did Elterman write "no information was gained?" Let us look more carefully at Elterman and his Project Twinkle report. Anyway, it was a mistake. After Project Twinkle began the sighting rate dropped precipitously. The Project Blue Book sighting list shows 1 sighting in April, 1 in May and 1 in August in the Holloman area. There were also fewer sightings in the other areas. In fact, for the period from April 1 to October 1 covered by the first Land Air contract there were only about 8 sightings in the whole of New Mexico as compared with the roughly 30 sightings during the previous 6 months. The effect of this sudden decrease in sighting rate is reflected in the Twinkle Final Report which says that there were very few observations. However, of more importance is what is not reflected in the report, that is, what is ignored or covered up (?) in the report, namely the fact that Twinkle was successful. During the second contractual period, 1 October 1950 to 31 March 1951 there were no sightings. It was as if the phenomenon had reacted to the setting up of observation posts by moving elsewhere. There were continuing sightings in other parts of the country and even a few in the other parts of New Mexico, but none near Holloman AFB. The lack of sightings was enough to end the contract. After the contract ended there were discussions about what to do with the data and whether or not to continue observations at at some low level of effort. It was decided in the late spring of 1951 not to continue the special effort. Elterman, writing in November, 1951, recommended “no further expenditure” of time and effort...and there was none. But, what about the sightings during the first half of the contract, the sightings at Holloman Air Force base in April, May and August, 1950? Even Elterman admits that things were seen! What do you mean, Dr. Elterman, Sir? isn't the fact that something unusual was sighted by experienced observers "information"? something that was sufficiently unusual as to attract attention. Was Elterman justified in making such a comment? No! Certainly information “is gained” when a number of qualified obervers simultaneously view unidentified objects from various locations. And more information is gained if some of these observers film these objects through cinetheodolite telescopes. There is useful information even if a “proper triangulation” is not accomplished. And there is even more information gained if a proper triangulation is accomplished...and one was accomplished, only Eltermann didn’t mention it! Farther on in the report Dr. Elterman indicates a serious deficiency in the operational plan for Project Twinkle. The project scientists knew that they might have some film to analyze, but according Elterman there were insufficient funds built into the contract to analyze the film. After a discussion with Mr. Warren Kott, who was in charge of the Land-Air operations, Elterman estimated that it would take 30 man-days to analyze the film and do a time correlation study which “would assure that these records did not contain significant material.” According to Elterman, “no provisions are contained in the contract” for this analysis. One reads this previous statment with some astonishment. They set up a photographically instrumented search for unknown objects and then failed to provide for the film analysis if they were lucky enough to get film. What sort of a scientific project is that? Did they want to succeed or did they want to fail? Furthermore, Elterman’s statement that a time correlation study should be done to assure that the records contained no significant material sounds as if Elterman had already concluded that there was no worthwhile evidence in the film. Does this sound like an unbiased investigation? Near the end of the report Elterman supported his statement that “no information was gained” by offering explanations for the sightings: “Many of the sightings are attributable to natural phenomena such as flights of birds, planets, meteors and possibly cloudiness.” Note that he wrote "many." He did not write "all." What about the sightings that were NOT attributable to birds, planets, meteors and cloudiness? The typical scientist reading the Project Twinkle Final Report would assume Elterman was telling the truth, that there was "no information gained" and that all the sightings were misidentifications. The typical reader would accept Dr. Elterman’s opinion as the final word on the subject. Only the perceptive person would realize that he had not actually proven his statement to be true, even though he presumably had access to the photographic evidence which would prove it, if it were true. Compare the above letter/report to Dr. Mirarchi with the first paragraph of Elterman’s statement where he says “...simultaneous sightings by both cameras were not made so that no information was gained.” It seems that Elterman got his information on these sightings from this report to Dr. Mirarchi. Yet he did not even give a hint of the existence of the most important result of Project Twinkle, the April 27 triangulation which yielded information on altitude and size. Could it be that he didn’t know about the Data Reduction Unit report? Or did he know and choose to purposely ignore or withhold the information? Was this part of a "cover up" or simply the "ostrich effect" kicking in (if you stick your head deep enough into the sand the problem will go away)? Capt. Edward Ruppelt, who was the director of Project Blue book during 1952 and 1953, in his landmark 1955 book, The Report on Unidentified Flying Objects, described the April 27 event in more detail. A guided missile had just been tracked and the cinethodolite crews were starting to unload their cameras when someone spotted objects moving through the sky. The camera stations were linked by a telephone network, so that crew alerted the others. Unfortunately all but one camera had been unloaded and the UFOs had departed before the other cameras could be reloaded. According to Ruppelt, “The photos from the one station showed only a smudgy dark object. About all the film proved was that something was in the air and, whatever it was, it was moving.” Evidently Ruppelt didn’t know that a triangulation had been accomplished. But at least Ruppelt did not claim that "no information was gained." So what, if the size, distance and speed estimates might be wrong....something was there, obviously large, fast and unusual or the camera crews wouldn’t have bothered to film it! Incidently, the Project Blue Book master sighting list indicates that all four of the sightings listed by Elterman had “insufficient information” for evaluation. Although Dr. Mirarchi retired in October 1950 and had no part in writing the final Twinkle report that was completed over a year later, his involvement with the green fireballs and saucers did not end when he retired. In early 1951 he returned to “action” in a public way and his actions nearly got him into serious trouble almost two years after that! In the middle of February, 1951 Time magazine published an article that featured a well known scientist, Dr. Urner Liddel of the Naval Research Laboratory near Washington, DC. In the article Dr. Liddel stated that he had studied around 2,000 saucer reports and, in his opinion, the only credible saucer sightings were actually sightings of misidentified Skyhook balloons, balloons which had been kept secret by the armed services. Apparently Dr. Liddel wasn’t aware of the several sightings by balloon project scientists (e.g, C. B. Moore mentioned above). Mirachi concluded by accusing the government of committing “suicide by secrecy” for not admitting that the saucers were real and probably missiles from Russia. Strong words! So strong they nearly got Mirarchi in trouble more than two years later. According to an Air Force document released in 1991(! ), in 1953, during a time of espionage and spy hunting (the Rosenbergs, atomic spies, were executed in 1953) the FBI queried the Air Force as to whether or not Mirarchi should be investigated for breaking security. Lt. Col. Frederick Oder, who had been instrumental in getting Project Twinkle started, responded by writing that, because Mirarchi had released to the newspaper some information that was classified Confidential or Secret it “could cause serious harm to the internal security of the country...if it were to fall into unfriendly hands...both from the point of view of the prestige of our Government and the point of view of revealing our interest in certain classified projects.” Brigadier General W. M. Garland, who was in charge of AMC in 1953, decided not to pursue Dr. Mirarchi because, in his opinion, the information was not that important. Furthermore, in Gen. Garlands’ opinion, the facts about saucers being missiles, as stated in the newspaper article, had been “disproved or are, at best, personal opinions, and are not considered classified data.” In other words, Gen. Garland apparently believed that the green fireball and saucer sightings were not Russian missiles, although he did not say what he thought they were. In other words, Air Force Intelligence had realized that the public could see through the smokescreen of previous explanations and wanted real answers, so, if they couldn’t come up with real answers it was better to say nothing. I thank Joel Carpenter and Brad Sparks for some of the phototheodolite information presented here. A helpful reference was 200 MILES UP by Dr. Gordon Vaeth, Ronald Press, NY (1955).